Learn how to use custom data collections to manage dynamic segments and feeds of content that are regularly updated. Learn how to use custom data collections to manage dynamic segments and pages like menus, blogs, news, jobs and more. 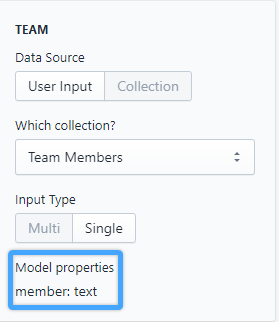 Data Collections allow you to define your own models with various attributes to use within your custom elements. To create a Data Collection, simply log into your Shogun dashboard and navigate to 'Data Collections' in the menu. You may add multiple properties to a Data Collection depending on your needs. Adding an entry to your data collection is super easy. Simply select 'Add Entry' and you will be able to add an entry using the properties that you defined. You can create a Custom Element on your page to display the content of your new Data Collection. To get started navigate to the 'Custom Elements' of the dashboard. You will see the properties of the Data Collection in the right-hand menu of the editor. 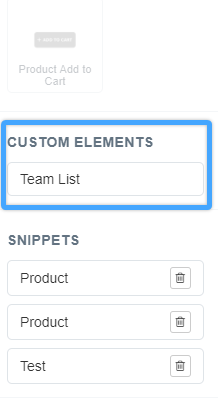 Just like any other Custom Element, you will find your new element in the 'Custom Elements' section of your editor. To use this on your page, you can simply drag this onto your page like any other element! What are the benefits of Data Collections? When you need to update a Data Collection, all of the pages with this Data Collection will be updated automatically. This allows for you to create sections that can be updated.